The key element in achieving a wedding invitation with a WOW, is setting the scene of what your guests can expect from your wedding day. Is it going to be a dull, lack-lustre day? Not likely! Your wedding is going to be one of the most important days of your life, so it's time to tell your guests that from the start! Do you have a theme? Is it a glitzy, razzle-dazzle affair? Or are you wanting to enthuse rustic charm? 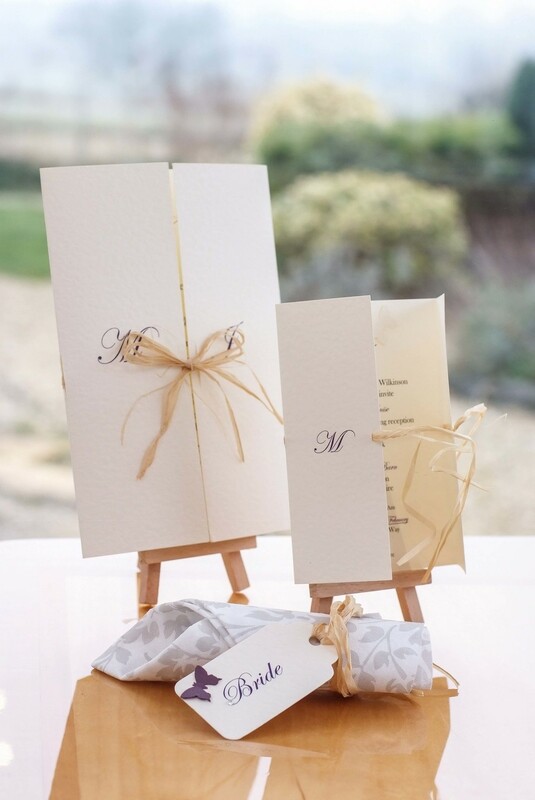 Either way, we can help you to create something for your guests to look forward to; an invitation so beautiful and unique, that your guests keep your invitation on display, rather than in a drawer. 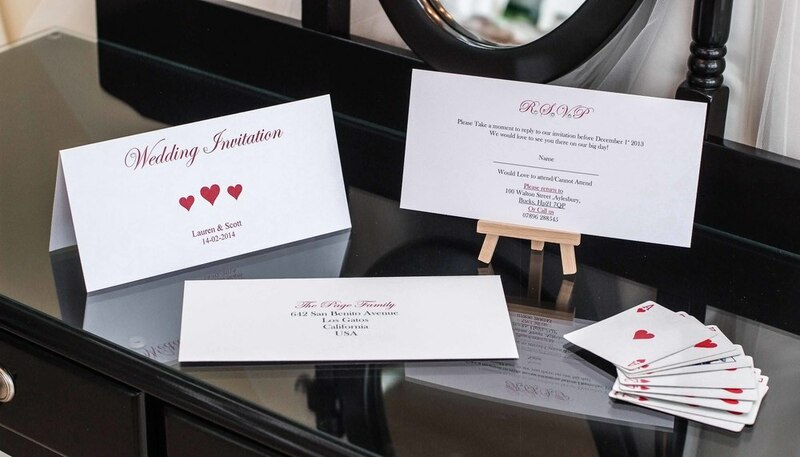 Whether using our pre designed collection or our bespoke design service, we will work with you every step of the way to create the perfect wedding stationery that is right for you and your guests. A key part of this, is creating something that will both entice and delight your guests, so they can’t wait to tick ‘Love to attend’ on your personalised RSVP. To start your wedding stationery journey today, take a look at the VivienB's wedding invitation collection below and click on an image for further details of each design. These designer collections are perfect for couples who are looking for a statement invitation, but do not have the time to design something from scratch. Your guests will certainly not be disappointed! In fact we are confident that they will want to RSVP straight away at your FREE* "Love To Attend" web page. 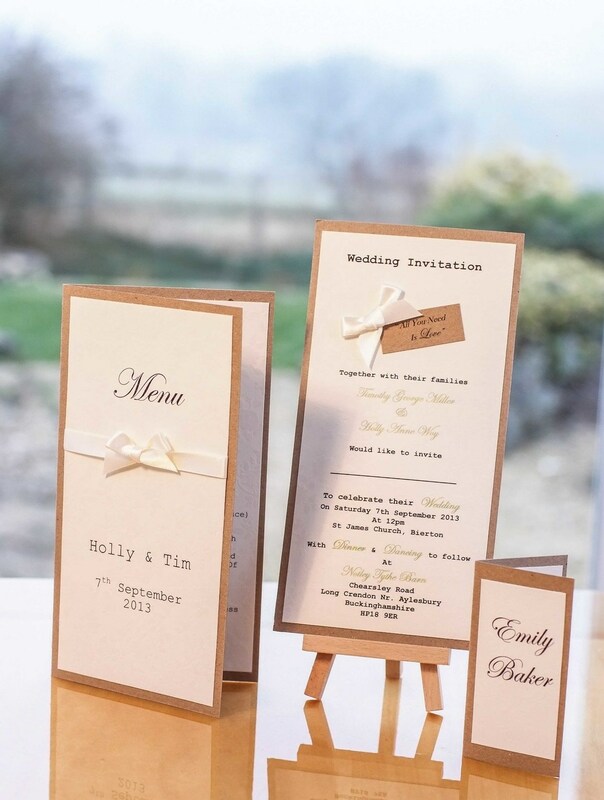 All of our invitation designs are also available in wedding day stationery, such as table plans and guest place settings, allowing you to create a flowing theme throughout all of your wedding stationery. 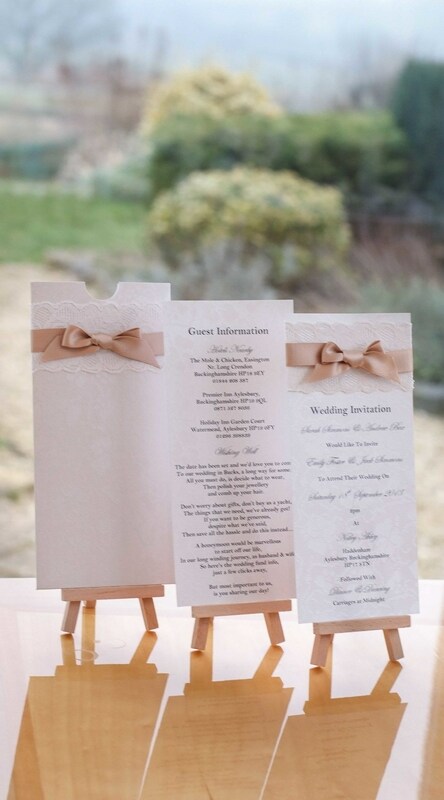 Alternatively, if you are looking to work alongside our designers in creating your own bespoke wedding invitation, then please see our bespoke service for further details, where we can work with you to design your own unique wedding invitation and coordinating wedding stationery.